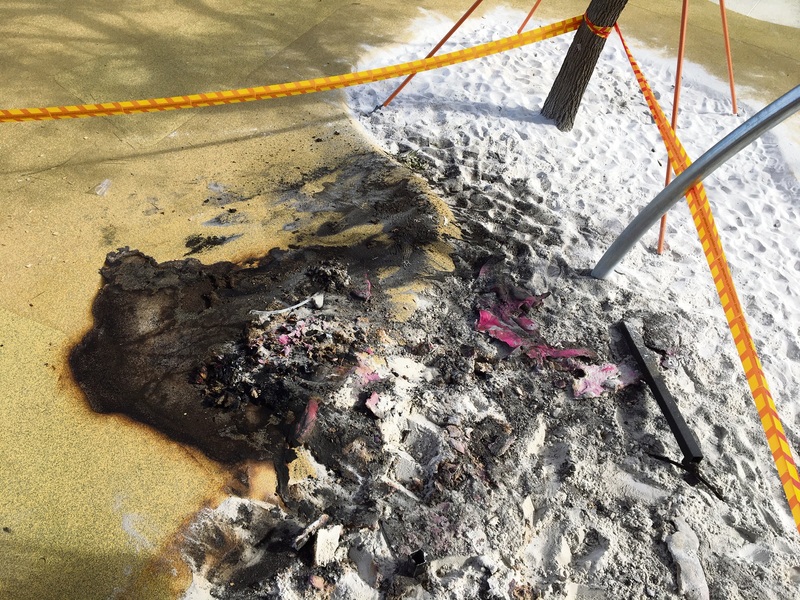 A slide was burnt at Picasso Park. A PLAYGROUND at a $3 million park that opened a week ago was damaged by fire on Sunday morning. 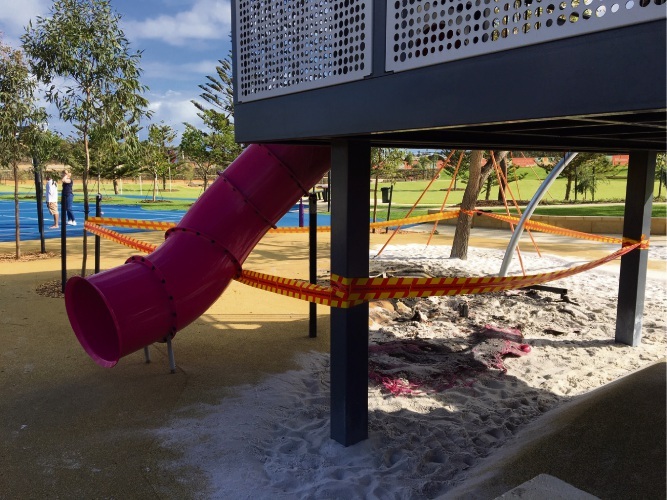 A fire at Picasso Park was reported about 5.43am on April 14, a week after the park officially opened in Alkimos Vista estate. The damaged playground at Picasso Park. 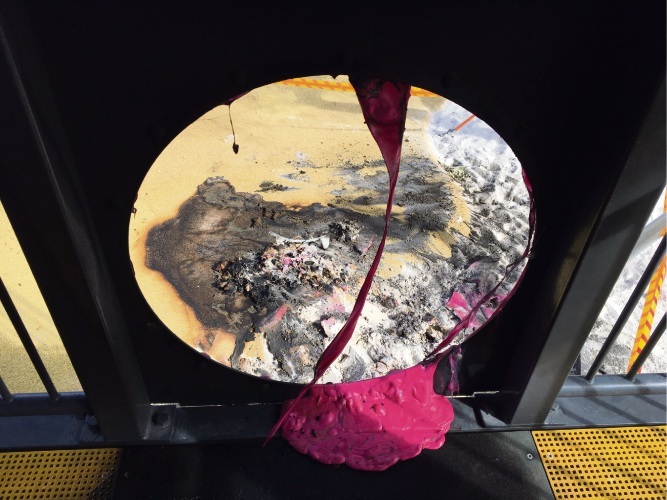 A Department of Fire and Emergency Services spokeswoman said crews from Butler Fire and Rescue attended and extinguished the fire by 6.25am, which had caused $5000 damage, mainly to one of the pink slides. “The cause was determined to be deliberate,” she said. Damage closed part of the playground. A spokeswoman for Alkimos Vista said the playground was temporarily closed for the safety of the community following the vandalism. “Lendlease and LandCorp are working on having the playground repaired as a priority,” she said. Anyone with information regarding the incident can call Yanchep Police on 9562 9300. 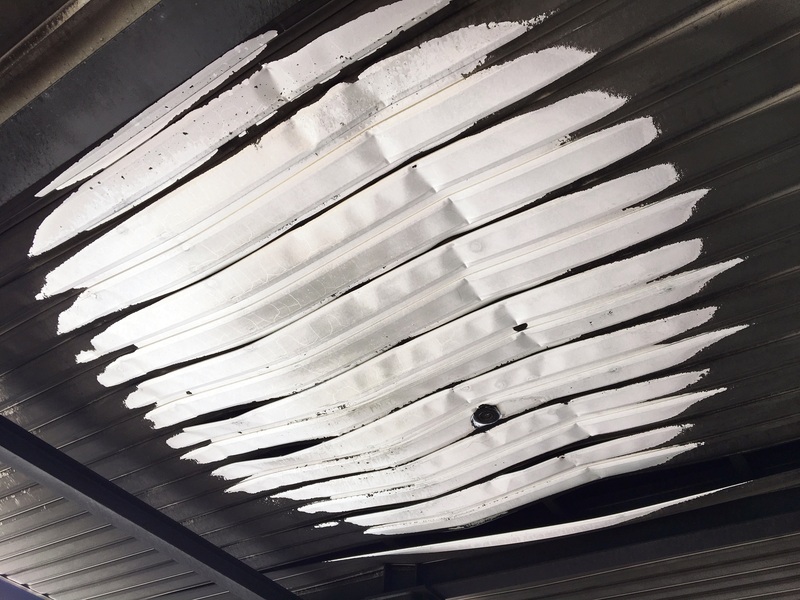 Fire damaged the roof of the playground structure.